Great for bushwalkers and mountain bike riders. 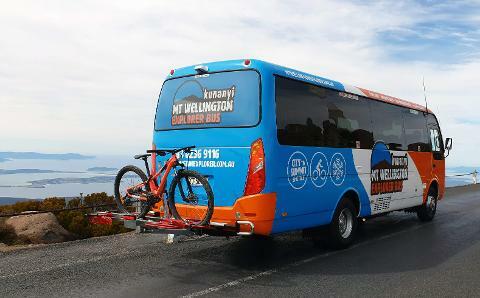 Use your One-Way Pass to do the 50 minute one-way tour to the summit of kunanyi/Mt Wellington. 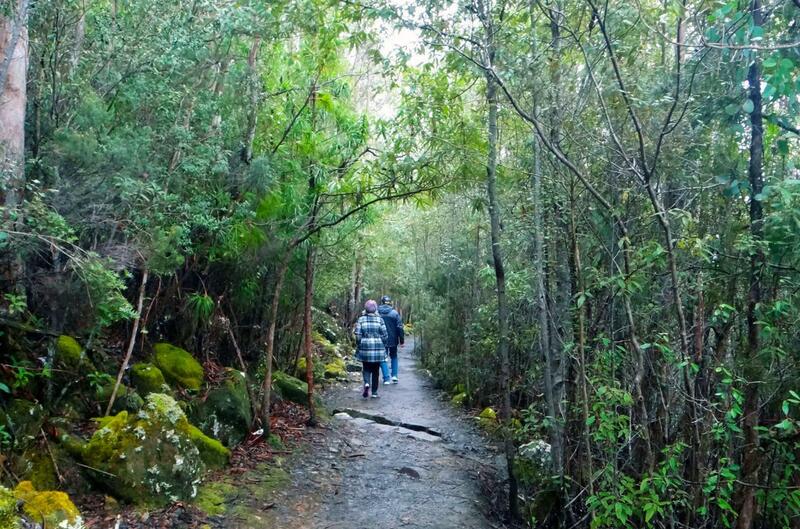 Enjoy the natural beauty and serenity as you walk from kunanyi/Mt Wellington to Hobart on well-marked bushwalking tracks. OR, bring your own bike for an exhilarating bike ride down the mountain. The mountain features a surprisingly diverse landscape from shaded fern gullies to tall eucalypt forests and alpine boulder fields. Enjoy professional and informative commentary from your driver as you learn all about the history and wildlife of Hobart’s beloved kunanyi/Mt Wellington, significant landmarks and local tips on what to see and do on the mountain. 50 minute one-way tour from Hobart to kunanyi/Mt Wellington. 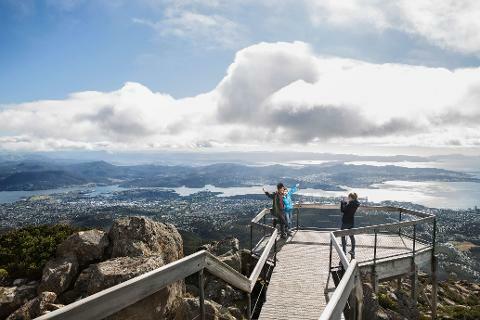 Experience spectacular views over the city of Hobart and southern Tasmania. 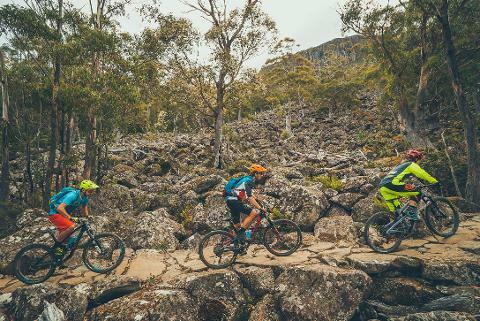 Explore the growing network of bushwalking tracks and mountain bike trails throughout Wellington Park. 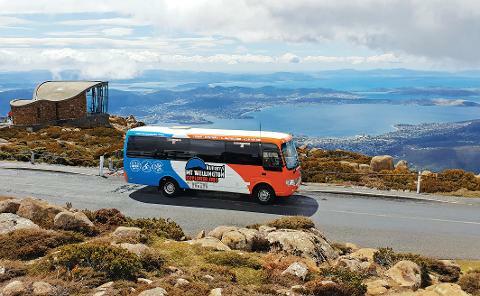 Make your own return journey from the summit of kunanyi/Mt Wellington to Hobart. Go for an adventurous bushwalk or exhilarating mountain bike ride. The easiest way to get to kunanyi/Mt Wellington. Duration: The one-way tour takes 50 minutes to complete. One-Way Pass for kunanyi/Mt Wellington Explorer Bus. Complimentary Wellington Park bushwalking map.